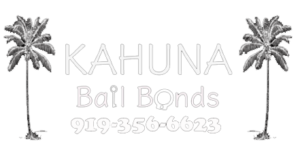 Kahuna Bail Bonds is the fastest Raleigh Bail Bondsman. Specializing in Raleigh Bail Bonds, 24 Hour Bail Bonds, Low Cost Bail Bonds. When you or a loved one need help to make bail we are here to help. Bail Bonds Raleigh and Wake County Bail Bonds. We have bond agents available 24/7 so we can be there when you need us. We handle all kinds of Wake County Bail Bonds and make sure our clients get the best service possible. We are affordable, fast and discreet. Our Wake County Bail Bondsman agents are working non-stop, providing Raleigh NC Bail Bonds service 24 hours a day, 365 days a year. We serve our customers at any time of the day, providing them with free bail information that relates to their needs. Our Raleigh bail bondsmen are on call 24/7, we are able to bail out arrestees in a matter of a few hours in most cases. We have the fastest jail release service among all Raleigh bail bondsman agencies in the United States. Our Raleigh Bail Bondsman know that things can happen fast. When they do you may not be prepared financially, our bail bonds in Raleigh NC have flexible payment options for most customers.